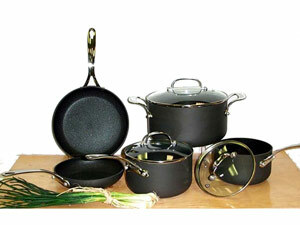 This 8 pc non-stick Betty Crocker cookware set is marked down from $149.95 to $69.99! All great cooks know that the right cooking materials are essential when creating great dishes and even everyday meals to the family. This non-stick set makes cooking and cleaning up a breeze and it's on sale! Can't beat that!